Music isn’t my strong suit. I mainly go for pop, a bit of metal (that happens because of prolonged exposure to it by husband) and lots of Hindi/Tamil/Telugu stuff thrown in liberally. I own no genre, am loyal to no artiste. Except for those who are rocking the charts at the moment. With the exception of Dave Grohl, Beyonce, A.R. Rahman and Red Hot Chilli Peppers – these guys I will be happy to listen to at any given point in time. These are probably the only artistes I will see in concert I think. Well, anyway, so when it came to my daughter, I naturally gave her my playlist with a healthy dose of Gaga, Beyonce, Taylor Swift and Meghan Trainor and she loved ’em. She even loves a good dose of Keeravani, Rahman and Arijit Singh – because we love all kinds at home. Infact, my best friend’s husband, let’s call him Sean, thought Meghan Trainor is a great role model especially when the girls (they have a 5 year old) get into their teens. The song “My name is No. My number is No” might just be their anthem when pock-marked teen boys approach them. #futuredating = check! The husband on the other hand uses his time to show her every damn freaking playlist and plays it to glory. Beatles, Megadeth, Rolling Stones, new indie bands, metal, jazz….blah blah blah. And she has her favourites! Now, while there is music that we give her, there’s also music she finds. Yep, the 4 year old keeps jumping from video to video on YouTube Kids and finds her own tune. 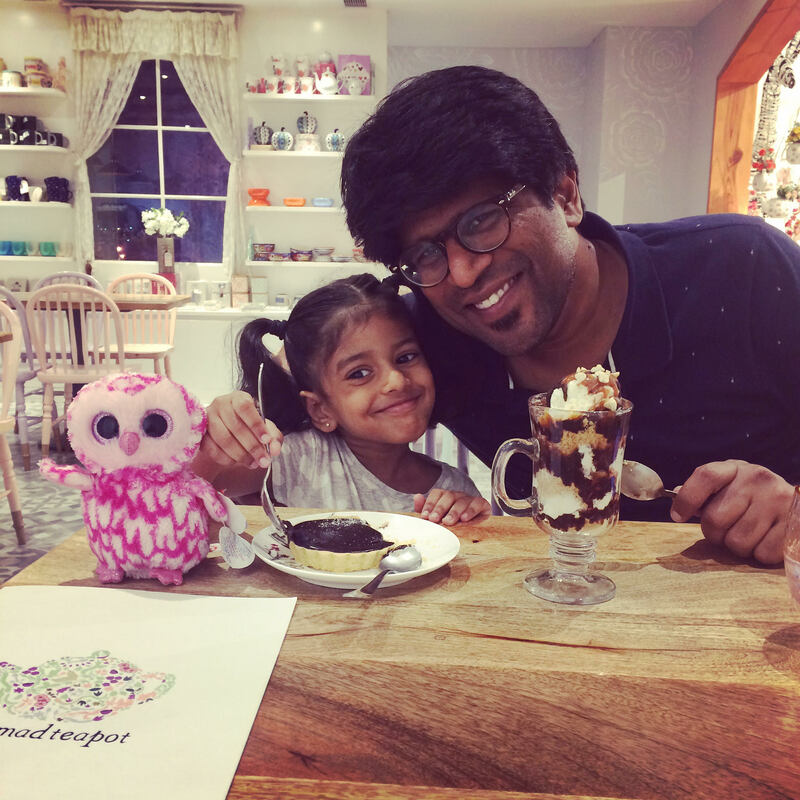 And my daughter, as I’m seeing has a fierce independent streak of her own – you could give her the whole world to listen to but she picks what she wants meticulously and plays it with great care. You can’t bribe her, influence her or bombard her – she simply won’t do something just because you told her so. *Already dreading those teen years. Anyway, these days, she tells me about this fun song she heard with Daniel Tiger (super cute!) or an interesting version of “Let it go…” that she hummed. A neat Wizard of Oz lyric or an interesting line from Mental Manadhil. I learn a lot from her everyday. But of all the things she taught me, this playlist was my biggest and my loveliest surprise. As you know, she loves those ponies from My Little Pony and she found this Everfree album to be her favourite piece and it’s been a year now. She still loves it to death and makes sure it plays while she sleeps at night. And if are looking for something to play for a girl (boys too, why not! ), this might just be the most amazing one with some kickass lyrics. From what I heard, the Legend of Everfree songwriter Daniel Ingram had said that he was majorly inspired by Mumford & Sons when writing and composing this song. It’s not just for kids, it’s for adults too. It’s so inspiring, like you want to get up and go achieve something! It’s about dreams and I’d like those better than a kid singing about a boy, a princess waiting for a prince or a fight brewing etc etc! Just read this chunk of lyrics, would you? Will you be lost by time or be part of history?/Will your story be told or remain a mystery?/Will they sing your song, telling all that you have done?/Time to make your choice, only you can be the one. Will you do something great with the time that you have here?/Will you make your mark?/Will you conquer what you fear?/And when you go back home, everybody there will see/You were part of the Legend of Everfree! I thank my kiddo for this gem. And if you’re looking for something to add to your kid’s playlist, look no more than the Legend Of Everfree. The Equestria girls are a riot and they really have some great vibes and give out good learnings. And P.S there are other albums too but this is our family favourite! Previous Jean Paul Gaultier And His Sari Obsession Became My Obsession! Next Handcrafted: Quirksmith, The Label That Takes Silver On A Whimsical Flight!